Gay Group Cruises. What they are all about. The concept behind Gay Group Cruises is to provide LGBT travelers with the company and comfort of other LGBT travelers from throughout North America and the world. These Group Cruises are not all-gay charters like RSVP or Atlantis, etc., which do not always fit into the lifestyle, itinerary or schedule of many gay travelers. 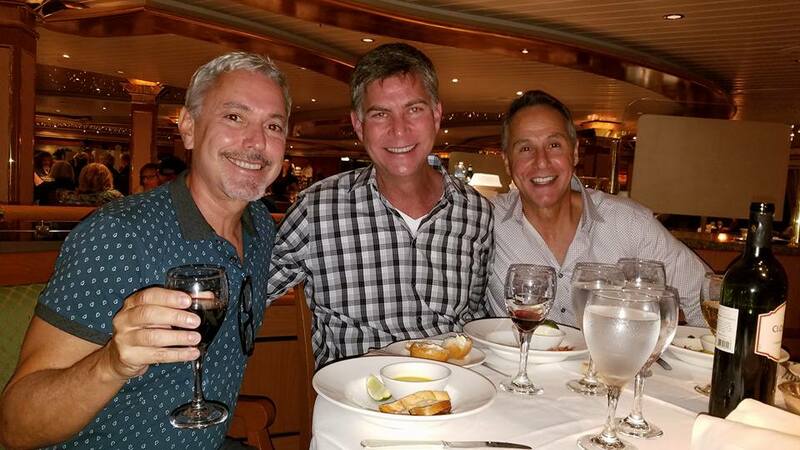 The gay group cruises we offer include a variety of itineraries aboard a variety of ships with a variety of accommodations, offering fine service on the major cruise lines. Focus is on VARIETY. We are a varied community and we deserve a variety of options. Pre-arranged group dining: We arrange for you to dine in the company of the group. Hope to see you on a gay group cruise someday soon!